Eden Park Condos is Amacon's first project in the Mississauga Square One condominium market. Amacon Group is a reputed and well known Canadian builder who has built many award winning condo projects in the West coast: Vancouver. Amacon's Eden Park built in 2006 is the first part of the three-phased condominium development. Eden Park condominiums offer some of the city's best views including Lake Ontario and Toronto's CN Tower. Eve Condos and Elle Condos are also built by Amacon and are next to Eden Park. Eden Park condos offer functional and spacious floor plans, modern finishes, balconies and 9 feet high ceilings. East and South facing suites provide beautiful Lake Ontario views. 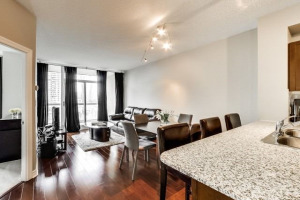 These Mississauga condos are good for buying, renting and investing purposes. Eden Park is in close walking proximity to many amenities, shopping, schools, Parks, Square One mall and a few minutes away from Cooksville GO transit. The location makes Eden Park quite popular with people using GO Transit on a regular basis, and for commuters requiring quick access to highways. Eden Park's luxury amenities include a 40-foot indoor pool, hot tub, sauna, exercise studio, games room, library lounge with fireplace, and 24-hour security. Monthly condo fee at Eden Park includes Hydro, which is a unique feature as only a few condo builings include hydro in their monthly condo fee. Team Kalia has helped many residents with buying, selling or renting their homes and condos in the Square One area of Mississauga since 2003. 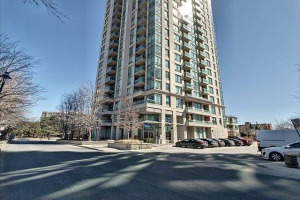 Call us if you are thinking of buying, selling, investing or renting an Eden Park Condo in Mississauga. Team Kalia is sure to bring you great value. Local Experience always Pays!